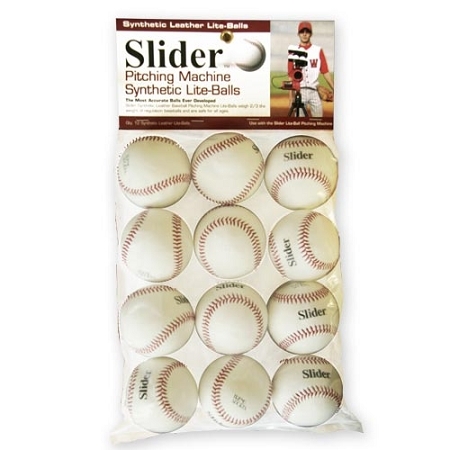 Originally designed specifically for the Heater Slider Curve Lite Ball Pitching Machine, these Heater Slider Simulated Leather Lite Balls are long lasting and can be used with many heater pitching machines. One third lighter than a regulation baseball, the seams on the synthetic leather ball are not raised as high as the seams on a real baseball. 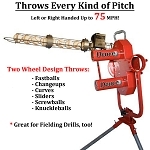 This allows not only the ball to pitch more accurately, but it decreases wear and tear on pitching machine wheels. 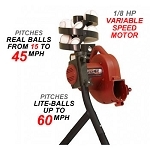 Not sure what balls work with your pitching machine? 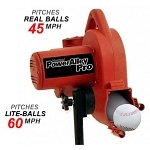 Check out the Approved Pitching Machines tab, above, or check each individual pitching machine's description and you will see a list of approved balls there. 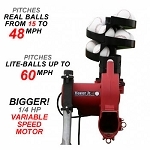 Also, be sure to take a look at our Pitching Machine Balls Guide to see what type of practice each ball is good for! 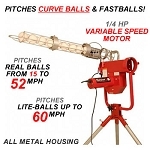 To ensure your satisfaction, Heater Slider Leather Lite Baseballs include a 30 Day Money Back Guarantee. 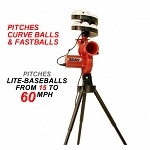 Heater Slider Lite Baseballs are also backed by a Full 1 Year Warranty. 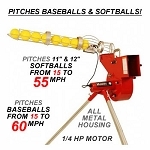 No matter where you order Heater Slider Simulated Leather Lite Balls from, NOBODY actually stocks them; they all ship directly from the manufacturer's warehouse located in St. George, Utah. Therefore, the shipping time frame is exactly the same no matter what website you order from (we hope that it is this one!). 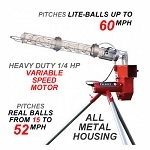 Heater balls typically take 2-4 business days to ship from the time you place your order. They ship via Federal Express (FedEx) Ground and could take anywhere from a day or two to a week to get to you AFTER being shipped, depending on your proximity to their warehouse. We will notify you of your tracking number the moment we receive it from the manufacturer's warehouse.